The Riau Archipelago, with its center at Tanjung Pinang, has many potential tourist attractions as beautiful beaches or other cultural places. The archipelago lies at the junction of the oldest and busiest maritime trade routes. It is an ideal business or commercial destination. In the past the Riau Archipelago was inhabited by the so called sea gypsies, they were wandering in the rich mangrove forests and on its waterways. Besides of this in the 16th century the Sultan of Malakka found refuge from the Portuguese army there. Some of the Riau Islands are located very close to the Island of Sumatra, and some of them lie a little more far to the east. Because it has so many tourist attractions, we would like to present you only a part of it, the Western Riau Islands. Tanjung Pinang is a busy town on the island of Bintan, today is the center of the Riau Islands. The city museum lies on the Katamso street. The old town has traditional houses typically built on stilts and located above the water. The town is at 10 km from the airport, but is also has two harbours: Sri Bintan Pura in Tanjung Pinang and Sri Bayintan in Kijang. From Tanjung Pinang you can reach Pekanbaru and Natuna with plane. 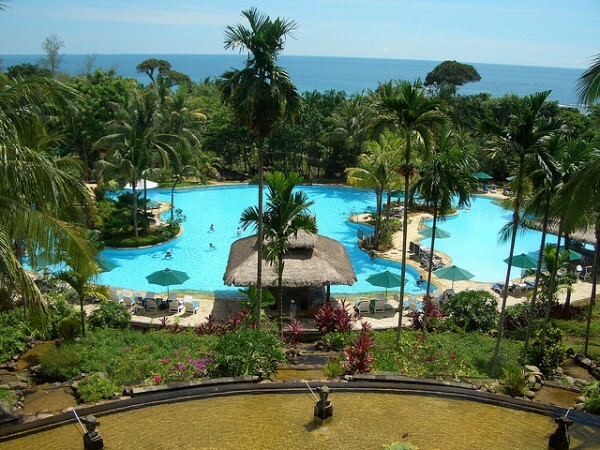 Batam Island has a strategic importance from industrial, commercial and tourist point of view. It is also close to Singapore. 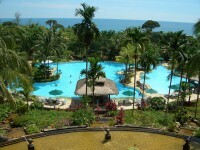 The Nongsa resort complex has international hotel chains with four golf courses, yacht harbor and protected forests. 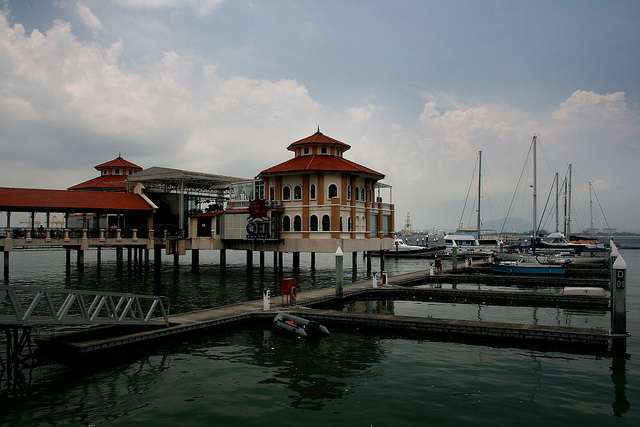 From Tanjung Pinang takes two hours by ferry, but from Singapore takes only half an hour. Pulau Penyengat is one of the Western Riau Islands in the Batam Archipelago that was full of bees when it was discovered, this is why it is called “Pungent Island”. 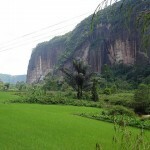 It lies at 6 km from Tanjung Pinang that is a trip of 15 minutes. It was the seat of the powerful Riau Bugis viceroys and we can still find there the memories of this illustrious past. There have been found ruins that have been forgotten for 700 years, but were recently excavated and restored. 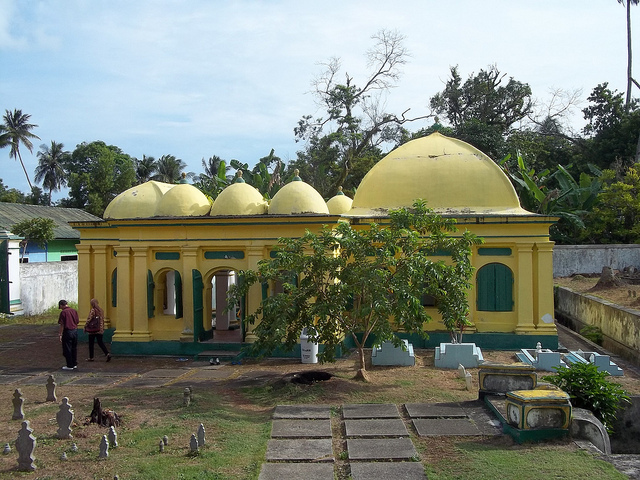 The old royal palace and the royal tombs are relics of the Sultanate of Riau. The Viceroy’s Mosque, the Mesjid Raya is still in use. The Karimun Island in one of the most important members of the Riau Archipelago because its dynamic economic development and its proximity to Singapore. Tanjungbalai Karimun is a medium-sized city with a large Chinese community. The shops offer a variety of import goods. The city lies along the shipping route between the Strait of Malacca and Singapore and an international ferry service connects it with Malaysia and Singapore. 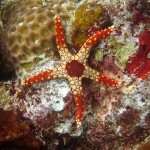 Near the Islands of Mapor, Abang, Pompong, Balang and Tanjung Berkait are sea gardens with beautiful corals and fishes. The Trikora Coast lies at 40 km to the south from Tanjung Pinang, on the east part of the island. Other beautiful beaches in the area can be found on the Terkulai and Soreh Islands that can be reached in one hour by boat. 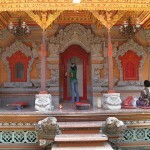 Daiki might be a small town, but has many historical monuments dating from the era of the Lingga Kingdom of Riau. The village can be reached by motor boat from Tanjung Pinang. The Lingga Islands are characterized by a variety of unique tropical plants and marine fishes. The Daik Mountain is an interesting sight with its triple peak. A motor boat trip around the Senayang Island can be really exciting. Real adventures await the visitors of this region, because there are many islands around Senayang, so it is easy to make some excellent trips including biking, walking, swimming, snorkeling and deep sea diving.